Small but powerful. High performances in a reduced size. 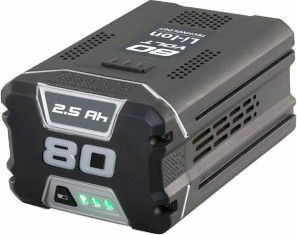 The Stiga SBT 2580 AE compact battery allows to work comfortably with all 80V portable machines, thanks to its small dimensions and light weight.Battery capacity: the SBT 2580 AE compact battery capacity is 2.5 Ah.